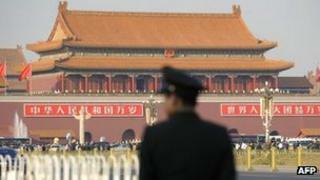 Media in China warn of a grim terrorist threat facing the nation following deadly clashes in Xinjiang that left 21 dead. China Daily says order has been restored after violent clashes between armed men and officials and police in Bachu county near Kashgar in the western part of Xinjiang on Tuesday. The confrontation, described by the region's information office as a "severe, violent terror incident", left 21 people dead, the newspaper adds. An editorial by China Daily says the violence is another bloody reminder that East Turkestan "terrorists" and the "terrorist organisations of neighbouring countries" remain a "clear and present danger" in Xinjiang. Counter-terrorism experts tell Global Times that "terrorists" and separatists in Xinjiang share supplies with al-Qaeda and have fought in Chechnya, Afghanistan and Syria. "However, the West has been holding double standards in the definition of terrorism. If the East Turkestan separatists carry out evil deeds in Xinjiang, some Western opinions whitewash them as seeking 'national self-determination'", Pan Zhiping, a professor from Xinjiang University, tells the newspaper. Wen Wei Po, a Beijing-backed Hong Kong newspaper, says the US' "double standards" over terrorism and Chechen separatists were to blame for bomb attacks in Boston. It urges the US to "learn a lesson" and not harbour Xinjiang separatists. The World Uyghur Congress, an exiled Uighur activist group in Germany, yesterday rejected China's claims of terrorism. The group says the violence started after Chinese "armed personnel" shot dead a young Uighur during inspection raids. The state-run Global Times newspaper accuses the World Uyghur Congress of defending "terrorists". "These forces wish for turbulence in Xinjiang to hinder China's development... Separatism is like gibberish spread by psychos, which has no appeal at all," the newspaper's bilingual editorial says. In other international news, Global Times calls on China to "step up military preparations" without engaging in actual combat. Its calls follow Japanese Prime Minister Shinzo Abe's warning earlier this week that Tokyo will resort to armed force against any attempt to land on disputed islands claimed by both China and Japan. "If Japanese civil servants land on the islands, we will also send civil servants to land on the islands. The two countries' law enforcement forces may engage in confrontation or even 'fighting', but it may not necessarily develop into a 'war'," the newspaper says. "As long as the two sides do not send warships, China should build larger maritime surveillance ships to engage in 'friction' with Japanese vessels," it adds. In an interview with International Finance News, Dong Manyuan, deputy director of the China Institute of International Studies, a foreign ministry think-tank, refutes India's complaints that around Chinese soldiers crossed the Line of Actual Control and set up a tent post in Ladakh on 15 April. "We did not cross the line and will not accept India's remarks. The matter will be resolved through friendly consultations... Over the years, more than 90% of disputes have been resolved through peaceful negotiations. This approach has been effective," Mr Dong comments. Rear-Adm Song Xue, navy deputy chief of staff, has told foreign military attaches that China's next aircraft carrier will be bigger and carry more jet fighters, notes Southern Metropolis Daily. However, he denies foreign media reports that the country is building new aircraft carriers in Shanghai. Taiwan has confirmed the first case of H7N9 bird flu in outside mainland China, after a 53-year-old man was hospitalised after arriving in Taipei from from Suzhou, Jiangsu province, via Shanghai, China Daily reports. A row in Hong Kong over donations for the victims of last Saturday's earthquake in Sichuan still has not been resolved. Lawmakers are blocking moves by the Hong Kong government to donate earthquake relief funds to the mainland authorities, says Apple Daily. They are calling for the funds to be donated to Hong Kong charities instead to prevent the funds being embezzled or misused.